A fantastic gift for any new mom, three tiers Blue Diaper Cake. Very clean and simple, classic design. 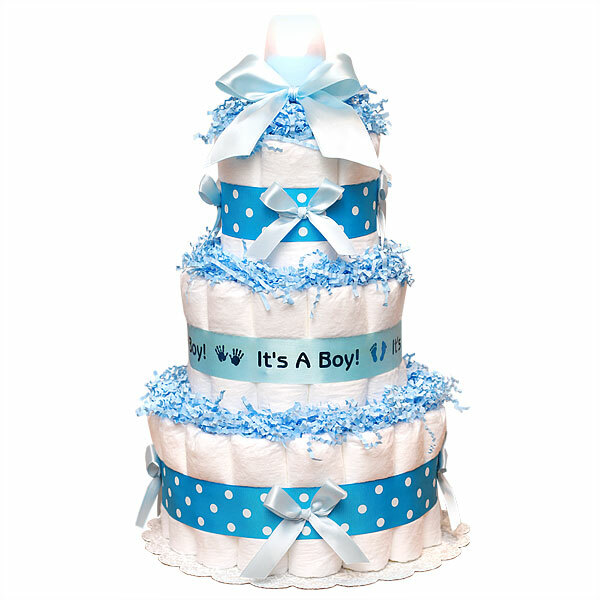 This cake consists of 50 rolled diapers size 1 (8-14 lbs.) and a 9 ounce bottle, wrapped with a really fun polka dot blue and white ribbon, and a blue ribbon that says "it's a boy". Decorated with blue crinkle paper.